Want greater unity? Desire to dream with your spouse? Want to live with purpose and direction but need a little clarity? If so, act now! Join us as we lead you on the exciting journey of discovering God’s prupose for your marriage through a proven process. This course will help you gain greater unity, dream together and live with more purpose in your marriage. 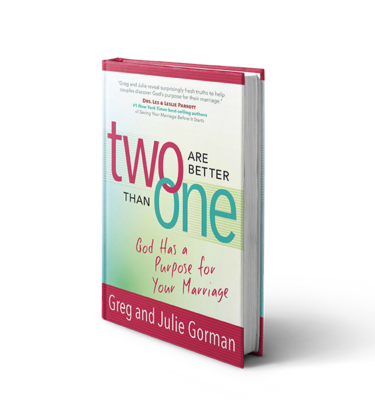 You’ll also gain new insights on how to build on common ground, celebrate your differences, and welcome GOD’S purpose for your life and marriage. Discover Your Marriage Purpose (module two in our membership series) is a stand alone video driven course for couples providing 10 video messages, each message provides a downloadable participant guide for the accompanying video. Simply print it out and begin holding deeper more meaningful conversations with one another. The participant guide correlates with the video lesson and provides a place and space to capture your thoughts. Session 1: What’s the Big Idea? Session 2: Are there Clues? Session 3: Do You Live Problem-Focused or Purpose-Focused? Session 4: How Does God Confirm His Purpose? Session 5: Why are We so Different? Session 6: What’s Our Common Ground? Session 7: What Fuels Our Purpose? Session 8: How Do We Define Our Purpose? Session 9: How Do We Protect God’s Purpose?